How about that E3? It's only the middle of the week, and already the videogame landscape has been shaken to its core. Has the Xbox One won you over? Is the Playsation 4 for you? Is Nintendo Nintendoing everything right with the WiiU? We'll be sure to discuss all this and more in the next episode of Saturday Morning Arcade LIVE! But for now, why don't you take a break from all this gaming madness and listen (or relisten) to last week's episode of SMAL? Broadcasted on June 8th, the gang (minus moi) had only one thing in mind: E3. 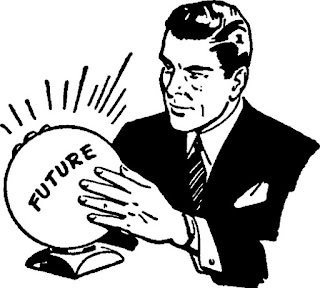 This is our annual predictions episode. Join the gang as they throw down their best guesses the eve before gaming Christmas. Treat this like a game! See if any of us were right, or laugh at us for being painfully wrong. Who says Podcasts can't be interactive? You can check out our predictions in podcast/mp3 form here or listen them via the embedded player below.